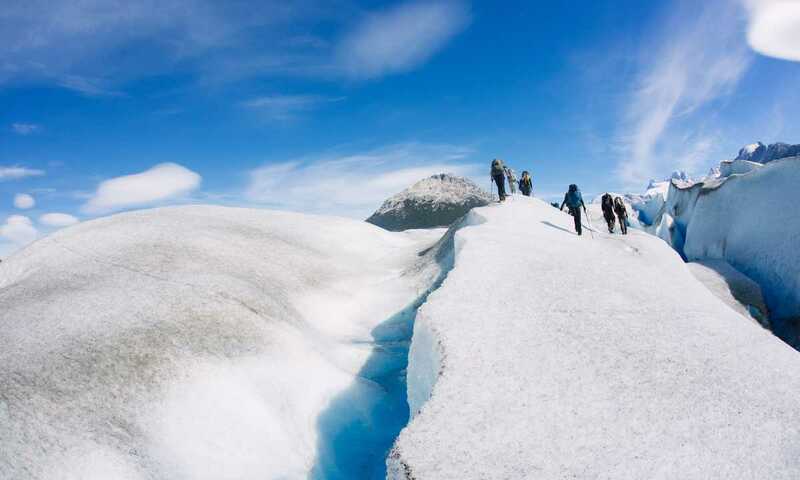 The proximity of this trek to the glaciers of the Northern Ice Cap, the variety of landscapes you will see means the Aysen Glacier Trail (AGT) is regularly named one of the greatest treks on the planet. Meet guides and the rest of the group in either Coyhaique or Balmaceda airport. Transfer to Puerto Bertrand in a van, along the breathtaking Southern Highway. 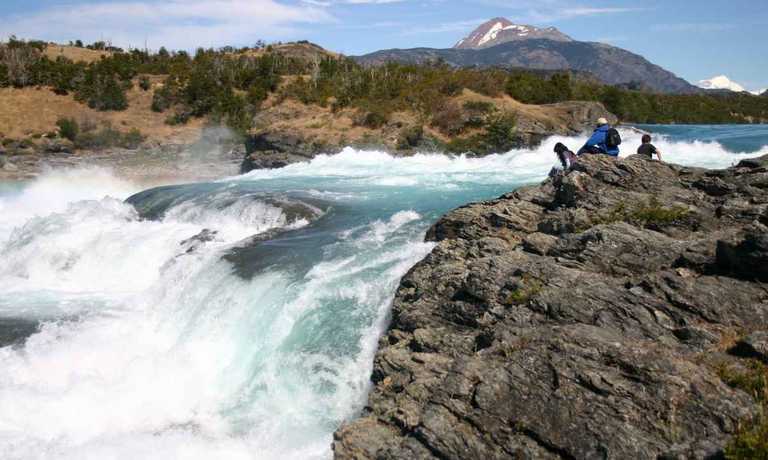 Arrive in Puerto Bertrand, situated in a spectacular location at the headwaters of Chile's most voluminous river, the Rio Baker. Welcome dinner with guide team, orientation meeting, final instructions and packing for the start of the trek. Final packing and preparation of luggage after breakfast and then a boat trip across the emerald blue Lago Bertrand and Lago Plomo. We meet up with the horse team here to offload some of the luggage before a 3-hour hike, traversing the flanks of the Cordon Soler above the river and then down to camp. Continue towards the back of the Soler Valley, maintaining elevation along the 250-meter contour line. Pass by the Concordia of 3 major glacial valleys and walk up into the old growth beech forest to the Palomar ranch. Our campsite is the original ranch still with the old wood shelter and a storage wood construction. Climb up 200 meters to the northern margin of the Neff Glacier, cross the 6-kilometer wide glacier. Descend the south side of the glacier and climb up to the mirrored lakes. This day can either be spent exploring the area and climbing to the Mirador summit for expansive views of the 3 glaciers which fill the valleys in this corner of the northern ice cap. Alternatively, the day sometimes has to be used to allow for detrimental weather for the glacier crossing. Hike down the Buena Cueva Valley among old growth beech forests, Cypress filled wetlands and huge boulders. Lunch with the view of three major glaciers. Continue along the shore of Lake Cachet 2 and the challenging Talus slope. The Cachet camp is 100 meters above the lake and facing the Colonia Glacier that carves off with unannounced regularity. The day begins amongst glacial kettles and drumlins with constant views of icebergs and the 50-meter ice wall of the glacier. The trail continues into the old growth beech forest above a 200-meter deep canyon with a booming river. The night is spent overlooking the 4 km wide terminus of the Colonia Glacier with Lago Colonia beyond. After hiking down to the moss covered beach between glacier and lake the trail follows tracks of the Huemul deer to the northern shore of Lago Colonia. A boat ride across the lake below 50m waterfalls to the south shore is followed by a 40-minute walk to Camp at the Sol de Mayo Ranch. A horse assisted hike down the Colonia valley to the Rio Baker. Horses carry all your gear and can carry people if requested. The hike passes through other properties where you have the chance to meet up with the local farmers and their families. At the traditional cableway raft, cross the Baker River and meet up with 4x4 vehicles for the ride across the Valle Grande into Cochrane and a well-deserved celebratory dinner. The return journey takes about 6 hours along the Southern Highway either to Balmaceda for return flights or to Coyhaique for a final night in Patagonia. 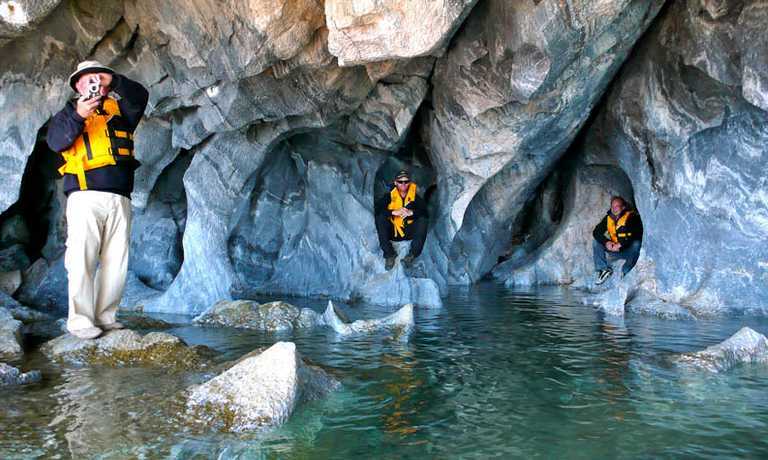 There are also optional charter flights from Cochrane for anyone wishing to over-fly the route you have hiked or visit Laguna San Rafael Glacier on the coast. The service end in either Coyhaique or Balmaceda unless you have arranged further services. Price from USD $6000, based on a group of between 2 and 12 people. There are special Swoop Departures on 2nd Dec 2018 and 17 Feb 2019 with a price of US$4000 per person. We need a group of 4 people to confirm this trip at this price.